As companies upgrade their communications systems, improved methods of delivery of communications services are implemented. One of those methods, SIP trunking, has attracted quite a bit of attention over the past three years. 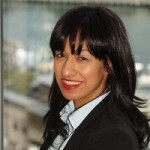 According to Diane Myers, the principal analyst for VoIP, UC, and IMS at Infonetics Research, “SIP trunking adoption is growing as businesses seek to improve the reliability and lower the cost of communication services.” Myers believes that by 2015, 58 percent of organisations will be using SIP trunking. SIP trunking is used to connect your company to the communications service provider. A SIP trunk, an IP connection between your enterprise’s Unified Communications (UC) and a SIP Trunking Service Provider (SP) via a Session Border Controller (SBC), can be terminated centrally in your data centre or locally in smaller branch sites. An SBC is a Voice Firewall that provides security of your UC platform on the IP network..
As communications evolve, SIP trunks allow you to replace legacy TDM trunks to consolidate your connections to the PSTN, and extend fully featured Unified Communications (UC) throughout the organization. SIP trunks are the third phase in the evolution of Voice over IP (VoIP) following after TDM and H.323 trunks. 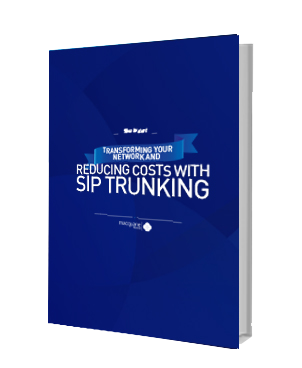 Using SIP trunks, your company can save money on both access and traffic costs. Depending on your existing communications setup, these savings can range from 10 percent to 40 percent of your total voice expenditure. The savings are generated by eliminating PRI trunks, PSTN gateways, and numerous service provider contracts while reducing the UC total cost of ownership (TCO). With the addition of centralised billing and reporting, your company has accurate transparency on your total voice spend. One advantage of implementing SIP trunks is that they allow you to deploy UC across your entire organisation as they seamlessly integrate functionality including multi-channel communications and presence. As a matter of fact, the savings generated by adopting SIP trunking is often used to justify the business case for complete UC replacement and transformation. SIP trunks allow users to access UC functionality from a unique identifier number irrespective of which network they are on and/or which device they are using. Implementing several SIP trunks allows you to make your communications more resilient, because you can switch between trunks in the case of a disruption or emergency. These trunks can also be used for load balancing traffic. Most UC vendors allow the user to set up local and central SIP trunks at individual sites. Therefore, if the local trunk is down, traffic can switch to the central trunk. SIP trunks are essential to building virtual contact centres by joining together multiple contact centres seamlessly. The contact centres allow you to load balance, reroute and overflow the traffic between multiple sites while preserving all Unified Communications data. Additionally, SIP trunks can consolidate the connection to and from the PSTN into centralised SIP trunks for all contact centres. As companies transform their UC, many will adopt a centralised platform using centralised dial plan management through SIP trunking. This private cloud is also enabled by using SIP trunks to link sites and the data centre. According to Infonetics, SIP trunking and Cloud UC is responsible for empowering the overall growth in VoIP. Unlike the previously used TDM trunking, SIP trunking can be run over a wide variety of access networks that are QoS capable, which includes DSL for smaller sites. This variety in access methods also means that you can scale up much more easily and affordably the amount of users & Call Capacity instead of the traditional method of having to buy additional 30-line PRI trunks. The capacity is adjusted according to business needs. Before you implement SIP trunking as a part of a UC transformation strategy, you must ensure that your network is voice-ready and supports Class of Service. Good voice quality is required to ease the transition to a new communications environment. Macquarie Telecom can support you with a mix of TDM and SIP trunks for a seamless transition. Although SIP is a standard, it is still important to have interoperability testing for different UC vendor equipment to ensure that all communications work as expected. Macquarie Telecom has built an interoperability that has certified with the primary UC vendors including Alcatel, Avaya, Cisco, Microsoft, Mitel, Sonus, Audiocodes, Samsung, Dataflex, Zultys & Siemens to certify the UC capabilities against the Macquarie SIP Trunk service and also third-party services. To learn more about SIP Trunking contact Macquarie Telecom on 1800 004 943 or submit an online enquiry today.